Downstairs 1 bedroom Smokey Lane Condo. Great location close to the Casa Blanca Resort. This1 bedroom condo would make a great investment property. 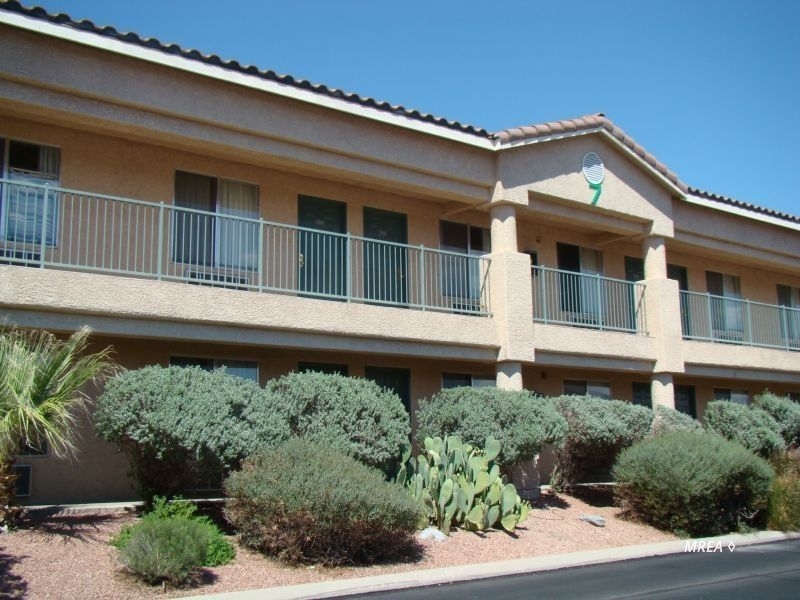 This is a lower unit, there is an on-site laundry facility available. One Stall assigned Carport. Currently being offered as a cash sale only. No loans available at this property. $140/month -- Includes: Cable T.V., Clubhouse, Common Areas, Exterior Building, Garbage, Management, Pool, Property Insurance, Road Maintenance, Sewer, Single HOA only, Water, Yard Maint- Back, Yard Maint- Front, Yard Maint- Side. All utilities and reliance cable are included in our $140 HOA dues.....so there are no bills. Also have wireless internet avail in/near the clubhouse & pool included. Great investment property. New Wall Heater/AC in June 2017. Well maintained unit.